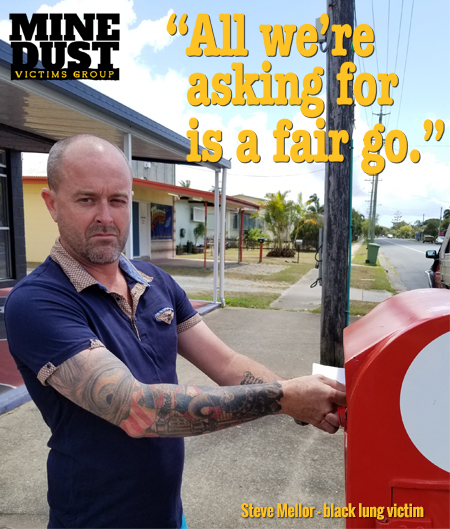 Mine dust victims are calling on Queensland coal companies to pay a levy on coal production to assist workers afflicted by mine dust diseases. The Mine Dust Victims Group has proposed the coal industry pay a levy of one cent, per tonne, per week to establish a fund to help coal dust victims meet the costs involved in seeking medical treatment. These would include the cost of travel to and from medical appointments; rehabilitation costs; counselling and specialist research into diagnosis and treatment. 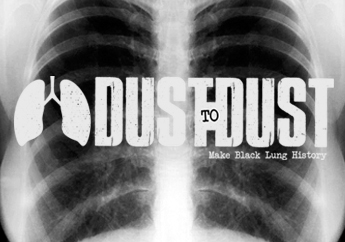 There are currently 80 Queensland mineworkers diagnosed with black lung and other mine dust diseases. Many more mineworkers are expected to be diagnosed with mine dust diseases as screening improves. Former mineworkers and dust disease victims Steve Mellor, Keith Stoddart and Tim Trewin signed the letter to coal company chief executives on behalf of the Mine Dust Victims Group. The former miners say the debilitating and often deadly industrial lung diseases they are suffering have been inflicted by the coal employers’ failure to provide a safe workplace. “In essence, all we are asking for, as coal mine dust disease victims, is a fair go – for us, our families and for the increasing number of other workers who unfortunately will experience the same pain, suffering and trauma that we have been subjected to,” the letter says. The former miners are available for interview.